We are excited to introduce the new Knaggs Tuckahoe model, named after the Tuckahoe Creek flowing into the Choptank river and into the Chesapeake Bay. 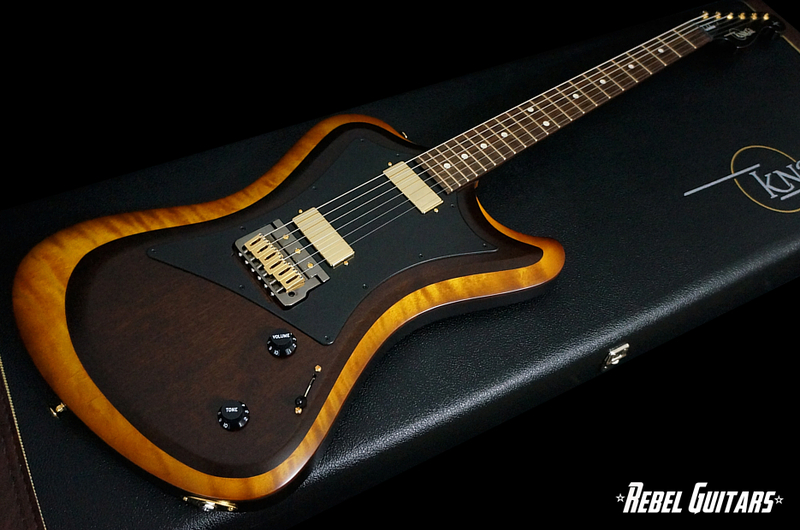 This Knaggs Tuckahoe Tier 3 features a Sapele and Curly Maple top over a Mahogany back. 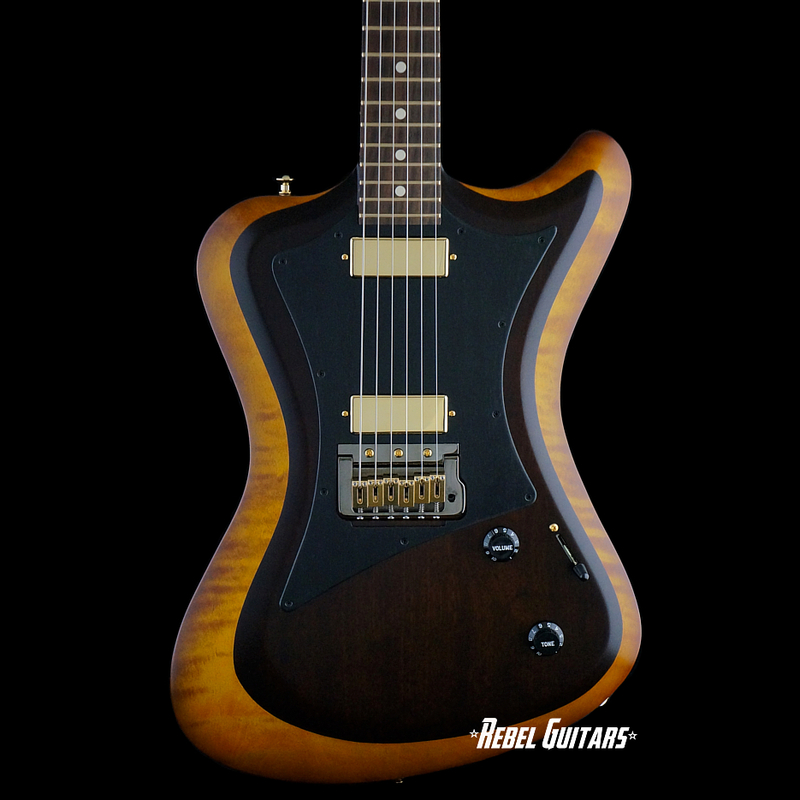 Other features include; Mahogany neck, East Indian Rosewood fretboard, dot inlays, 25.5″ scale, 22 frets, 14″ radius, EVO Jumbo frets, Gotoh locking tuners, gold hardware, Knaggs’ proprietary Chesapeake tremolo, and Lollar Firebird pickups. 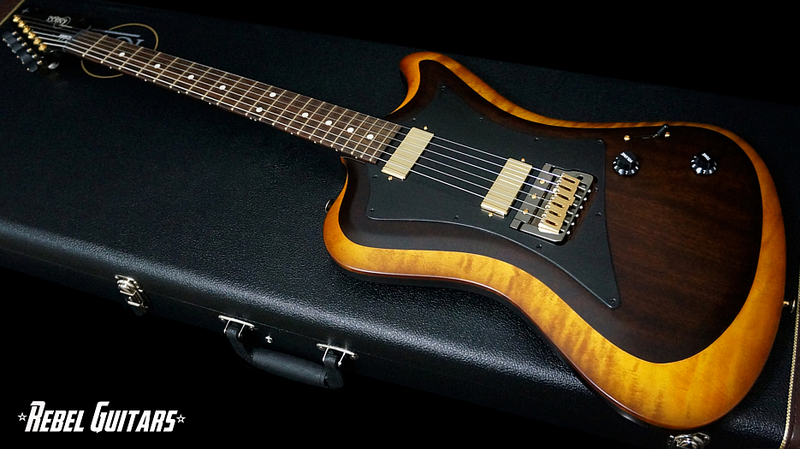 The Curly Maple layer is finished in a beautiful Hickory Burst. Includes COA and hardshell case.